Did you know that Julia Child ended up in the Office of Strategic Services (OSS) because she was too tall to enlist in the Women’s Army Corp or Navy? She was not a spy, as so many people believe. She was office help (not to belittle office help). It was through this enlistment that she met her husband, Paul. After the war he was sent by the US State Department to work in Paris. That is where Julia became enamoured with French cuisine. The rest is history. What was it, you may ask. Salt has many beneficial uses, not least of which is how important it is as a preservative in baking bread. 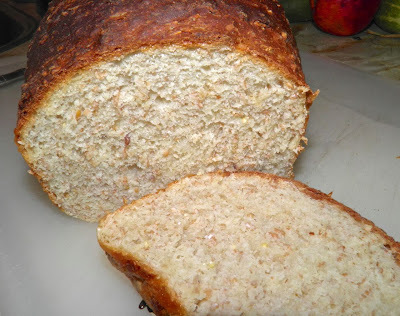 I make a fair bit of homemade bread, and will do so more often now that the weather has cooled off. During the height of summer baking makes your kitchen unbearably hot. Since there’s only me at home right now, when I make a loaf of bread I’m hard pressed to finish it before it goes stale. This is where Julia’s lesson comes in. I was intently watching her make French sandwich loaf, which I am going to try, when I got a bit of a surprise. Shaped and covered for 2nd rise. To her three and a half cups of flour, she added two teaspoons of salt. That’s twice as much as I usually use. My bread stays fresh for about 3 days. Of course, for the most part, the French buy their bread daily, but I could never eat my way through that much – no matter how delicious. Salt does some interesting things to bread. It aids in the absorption of water, making the bread less sticky; it regulates how the yeast reacts; and, it increases shelf life because it helps retain water in the bread. So that is probably the reason why my homemade bread goes stale faster than I would wish. Not enough salt. 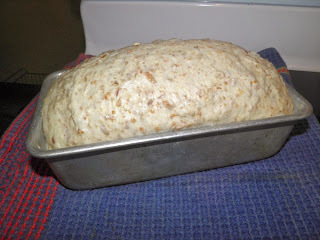 From now on I will be more generous, and hopefully squeeze a couple extra days out of every loaf I make. This loaf is inspired by Subway sandwich bread, believe it or not. I always order the honey oat. I thought I may as well try my own version at home. It worked! 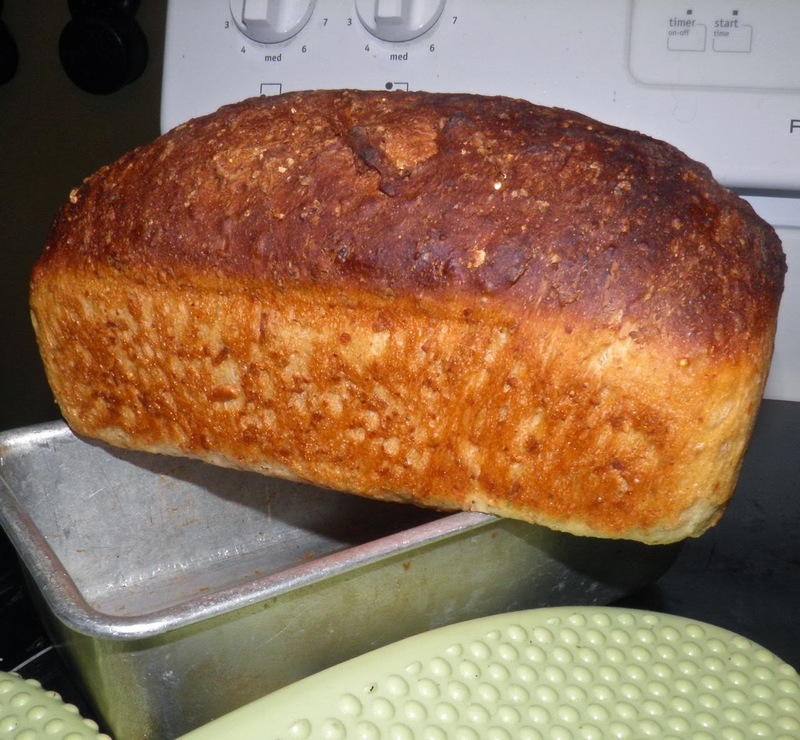 Place the water and honey in a ceramic or plastic bowl large enough to accommodate the bread rising. Heat on high on the microwave for 1 minute. Mix with a spoon until the honey dissolves. 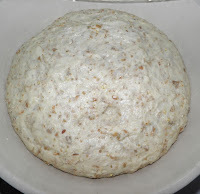 Sprinkle the yeast on top and let sit for 10 minutes. Then add the salt, flour and rolled oats. Mix to combine. Knead briefly in the bowl with your hands until the dough comes together and no longer clings to the sides of the bowl or your hands. This will take about 5 minutes. It will still be very wet and slightly sticky. A more than acceptable loaf of bread! Cover with plastic wrap and a towel and let rise until doubled, about 2 hours. Punch down and knead on the counter for another 2 minutes. Shape into an oblong and place in a well buttered 4x8 loaf pan. 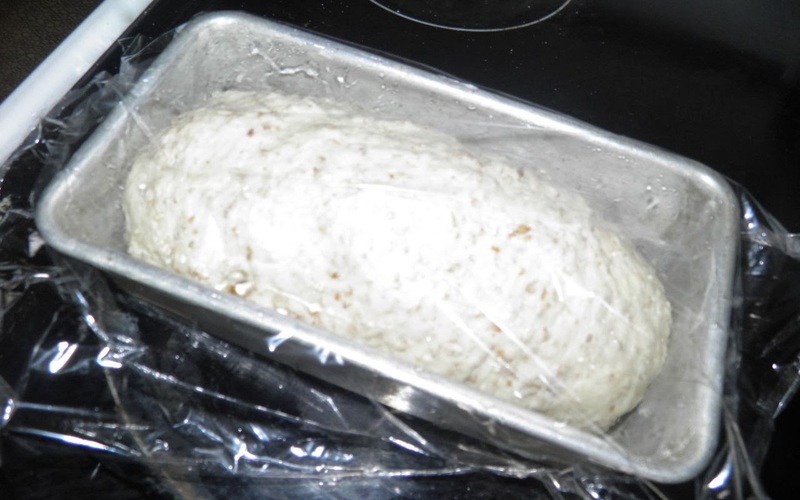 Cover very loosely with plastic wrap* and a towel and let rise until doubled again, about 1 hour. Preheat the oven to 425°F with a pan of water on the bottom oven rack. This hydrates the oven and gives an initial “ooomph” to the bread when baked. Bake for 30-35 minutes, removing the water after the first 10 minutes. 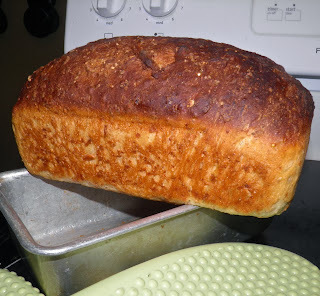 The loaf is done when it sounds hollow when tapped and is very well browned on top. 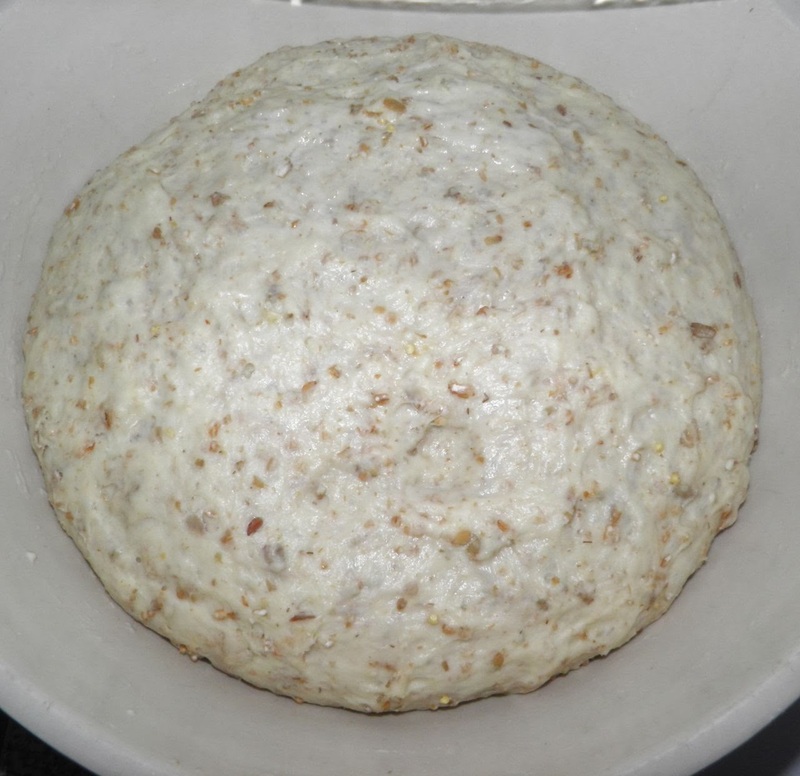 * To avoid the dough sticking to the plastic, either oil or butter the side that contacts the bread. It saves a lot of heartache trying to get it off the risen loaf.